The holidays are a time for us to eat, drink and be merry. Surrounded by great food and an abundance of sweets, many of us find it hard to resist the temptation of "just one more bite," followed by another bite and perhaps another one after that. Having overindulged in foods that are high in sugar and unhealthy fats for much of December, we promise ourselves to eat a healthier diet in the coming year. Eating healthy is definitely a critical component to a losing weight, lowering cholesterol and reducing our risk of heart attack, stroke, diabetes, and a myriad of other adverse medical conditions. For those who maintain healthy eating habits, food is more than just the fuel that gets us through the day. It is also the pathway to feeling good and to staying focused and energized, or relaxed and calm. In our book Positively Smarter: Science and Strategies for Increasing Happiness, Achievement, and Well-Being. we explain that healthy eating is important for fueling the Body-Brain System. Editor's Note: This blog post, written by Donna Wilson and Marcus Conyers, originally appeared on Edutopia. Explicit instruction to guide students toward taking charge of their outlook on academic endeavors can lead to a more positive—and ultimately more productive—approach to learning. Applying metacognition to both the emotional and cognitive aspects of learning can help students steer their minds to make steady gains in developing their knowledge and skills. In a previous post, we explored the gains that are possible when students adopt an attitude of practical optimism as they learn. These advantages persist into adulthood, as business research shows that people with a positive outlook are more productive, motivated, and likely to achieve their goals on the job. And optimistic people enjoy better personal and professional relationships and even better physical health than people who tend toward pessimism. Editor’s Note: This blog post, written by Donna Wilson and Marcus Conyers, originally appeared on Edutopia. Editor’s Note: This popular blog post, written by Donna Wilson and Marcus Conyers, originally appeared on Edutopia. We received a tremendous response to the post and are republishing it here so that new readers can benefit from the information and strategies provided. During the school year, students are expected to listen to and absorb vast amounts of content. But how much time has been devoted to equipping students with ways to disconnect from their own internal dialogue (self-talk) and to focus their attention fully on academic content that is being presented? Listening is hard work even for adults. When students are unable to listen effectively, classroom management issues arise. 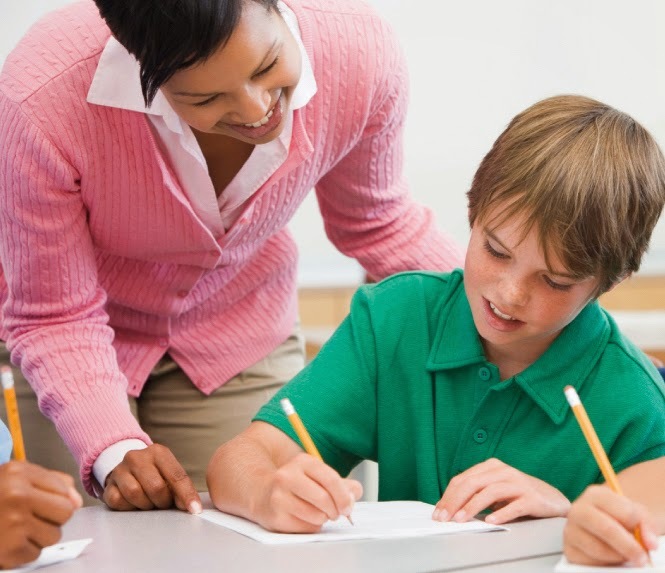 Explicit instruction on cognitive strategies that can help students learn how to learn may have a positive impact on both academic performance and classroom management by emphasizing that students are in charge of their own behavior and learning. Teachers we've worked with find that classroom management issues decrease over time as students begin to master thinking skills that help them become more self-directed learners. The connection between the actions we take and our cardiovascular health—what we eat and how often we exercise—is well known, but what about the impact of our thoughts? A wide range of medical studies has concluded that an optimistic outlook—in particular the feeling that life is worth living—has a protective effect on heart health. For example, researchers with the Harvard School of Public Health found that people who exhibit optimism or “emotional vitality,” defined as maintaining a healthy interest in their lives and the world around them, have a 20-percent reduced risk of cardiovascular disease in comparison to people with a pessimistic outlook. Several factors may account for how emotional outlook influences physical health. Martin Seligman, a pioneer in the field of positive psychology, suggests that optimists, believing they can make a difference, take action to maintain a healthy lifestyle. In addition, people with a positive outlook typically have stronger relationships with family and friends they can rely on for social support in adopting healthy habits. A third possibility is that emotional health may be linked to biological mechanisms that shield optimists from serious illness or aid in their recovery. We encourage teachers and parents alike to help students to develop the habit of consistently focusing on what’s useful and positive in their lives. An effective way to do this is to use the High-Five strategy, as described in our book, 60 Strategies for Increasing Student Learning. The first step is to introduce the concept of positive learning. Discuss the benefits such as better motivation, problem solving, and well-being. Ensure that students have a chance to participate. Ask students if they would like to learn a way to more consistently sustain positive learning states. When you get their affirmation, read aloud the following story about Treasure Hunters and Trash Collectors. Our latest regular blog post on Edutopia is “Unleashing the Power of Positivity in Your School.” As we explain in the post, a positive community of educators within a school has a powerful effect on the students who actively learn there. Teachers help create a positive environment by exhibiting and modeling an optimistic outlook and can-do attitude. The post builds on a previous post that we wrote, which outlines the benefits of practical optimism as a strategy for achieving one’s goals through commitment, execution and maintaining a positive outlook that success is possible. In this latest post, we outline a variety of strategies that may be useful in enhancing practical optimism, such as staying focused on the “upside,” expressing gratitude, and regularly committing small acts of kindness. Other strategies include being mindful of your emotional state, giving your brain and body a positive workout, and infusing positive feelings into your surroundings. Neuroscientists have identified two key brain networks, referred to as the executive attention and default mode networks, involved in creative thinking. The executive attention network, connecting outer regions of the prefrontal cortex to areas in the posterior region of the parietal lobe, is active when cognitive control is required in the problem-solving, evaluation, and implementation phases of innovation. In the first four parts of this series, we discussed the creativity crisis and the urgent need to cultivate the brain's creative potential as an integral part of developing innovating minds. The word education is derived from the latin root e-ducere, which means “to lead out.” Experiences literally shape the brain, and the neurocognitive systems associated with creative thinking are malleable. 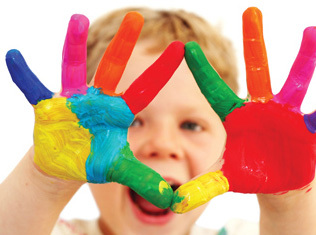 Furthermore, creativity is relatively independent of traditional measures of human potential such as IQ. New research is also overturning the common myth that creativity is a special gift that only a lucky few possess. The profound implication of these findings is that almost all of us have the capacity to learn to be more creative and innovative. It is now possible to create learning environments and opportunities in classrooms and workplaces that lead out more of the creative potential of all learners. In our work across North America and Europe and around the world, one thing has become clear: In the hyper-connected innovation age, it is essential that we cultivate the cognitive skills for identifying opportunities and creating, evaluating, and applying new ideas that generate unique, relevant, added value. We need to be both innovative thinkers and entrepreneurial doers. We need to develop innovating minds. In an era where virtually all new jobs created are in small and mid-sized enterprises, we must find ways to nurture innovative thinking and entrepreneurial mindsets in today’s workforce and in students who will be the future job candidates—and proprietors—of those enterprises. “The problem is that there are only 1.2 billion full-time, formal jobs in the world. This is a potentially devastating global shortfall of about 1.8 billion good jobs. It means that global unemployment for those seeking a formal good job with a paycheck and 30+hours of steady work approaches a staggering 50%.”—Jim Clifton, The Coming Jobs War (2011, p. 2). The present and future envisioned in these two quotes sound both a challenge and an opportunity. The words of Steve Jobs in particular capture the essence of the skills we will need for the future in a world where automation and outsourcing of routine work are transforming the landscape and career prospects. Positively Smarter Launches in the U.S.
Our latest book, Positively Smarter: Science and Strategies for Increasing Happiness, Achievement, and Well-Being has launched in the U.S. and is currently available in hard cover, paperback and Kindle editions. 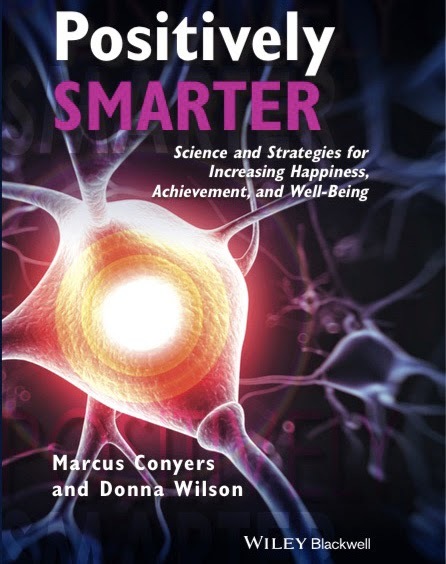 In this pioneering book, Donna Wilson and I bring together brings together seven principles for connecting the science of neuroplasticity to practical strategies for enhancing the synergy of happiness, achievement, and physical well-being. Moving beyond common myths and misconceptions that these three areas of life are largely driven by innate talent, genes, and external circumstances, the text builds an evidence-based paradigm so that readers can take practical steps to improve cognitive function. In our most recent book, Positively Smarter: Science and Strategies for Increasing Happiness, Achievement, and Well-being, we include chapters discussing science and strategies for reaping the benefits of exercise for the Body-Brain System. Once a good foundation of fitness is in place, interval training is one route to increasing fitness and for burning more calories. In my training for half marathons, I usually run longer distances at a steady heart rate of around 180 beats per minute minus my age, which means I am jogging at a rate of between 128 and 130 beats per minute. In addition, I do some days of interval training when I run harder for 30 seconds and then slower for around the same amount of time. WebMD has a good article on this subject, with great information on how interval training can take your fitness to the next level. I was pleased to have the opportunity to present some key concepts from our new book, Positively Smarter: Science and Strategies for Increasing Happiness, Achievement and Well-being, as part of the Rollins Health Forum Series. The topic of the presentation, which took place May 17 at Rollins College, was: "Living a Brain-Healthy Lifestyle." My presentation focused on how to achieve and support optimal cognitive performance across the lifespan through the application of seven practical lifestyle strategies—lifelong learning, aerobic exercise, strength training, healthy nutrition, adequate sleep, practical optimism, and positive social connections. Donna and I are proud to announce that our latest book, Positively Smarter: Science and Strategies for Increasing Happiness, Achievement, and Well-Being, has launched in the UK and is also available on Kindle worldwide. In the book, Donna and I discuss seven principles for connecting the science of neuroplasticity to practical strategies for enhancing the synergy of happiness, achievement, and physical well-being. Moving beyond common myths and misconceptions that these three areas of life are largely driven by innate talent, genes, and external circumstances, the text builds an evidence-based paradigm that guides readers toward practical steps to improve their cognitive function. The research we explore in the book comes from a broad range of fields, with emphasis on the big ideas that can have a positive influence on—and even transform—our lives by focusing on practical learning strategies. The text provides the science, structures, and strategies for creating a more effective system, so that learners are equipped to achieve goals and realize more of their unique potential across the learning life span. 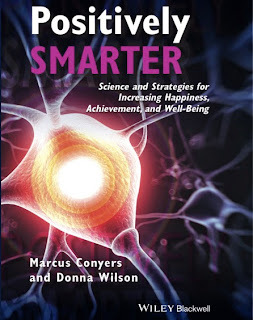 In our most recent book, Positively Smarter: Science and Strategies for Increasing Happiness, Achievement, and Well-being, Donna Wilson and I include chapters discussing the science and strategies for reaping the benefits of exercise for the Body-Brain System. Another important topic in physical wellbeing is that of when and how to stretch. While the common assumption is that stretching before exercising prevents injury, research does not support this claim. Rather, warming up—for instance, by walking or slow jogging before a run—is beneficial in terms of increasing blood flow and warming up the muscles. The time to stretch is after exercise, when you are more flexible and can achieve greater benefits. This article in WebMD has a useful guide to smarter approaches to stretching, making the excellent point that stretching should be a regular part of your exercise routine. Working memory involves the conscious processing and managing of information required to carry out complex cognitive tasks such as learning, reasoning, and comprehension. It has been described as the brain's conductor. Memory has long been viewed as a key aspect of learning, but as the emphasis in educational standards has shifted away from rote memorization and toward the knowledge and skills needed to process new information, working memory is increasingly taking center stage. There is an explosion of research today with the aim of understanding how this important function works and how to enhance it. However, the term working memory was first used more than 50 years ago to describe the role of recall in planning and carrying out behavior. In the 1970s and '80s, British psychologist Alan Baddeley and colleagues developed a model of working memory that brings together how the brain accepts sensory input, processes both visual-spatial and verbal data, and accesses long-term memory; and how all of that input is processed by a function they referred to as central executive. In the business world, the chief executive officer is the person responsible for the highest-level decision-making made at a corporate entity. Without a leader to guide them, the people in the organization might scatter in a variety of different directions and find themselves at cross-purposes instead of working productively together toward the same goals. I'm looking forward to presenting some key concepts from our new book, Positively Smarter: Science and Strategies for Increasing Happiness, Achievement, and Well-being, as part of the Rollins Health Forum Series during the Rollins Health Forum Series. Our topic is Living a Brain-Healthy Lifestyle, which we will present at 7 p.m. in the Bush Auditorium at Rollins College. The presentation will focus on how to achieve and support optimal cognitive performance across the lifespan through the application of practical lifestyle strategies. We will be sharing a framework on how the brain can benefit from good nutrition, physical activity, positive affect, and social connections. Participants will experience a variety of brain challenges to engage the mind in logic, visual perception, concentration, and attention. Those in attendance will leave with a toolbox of practical strategies that they can put to immediate use so as to facilitate the process of living a brain-healthy life. It will be great to re-connect with our friends in Winter Park tomorrow evening on the beautiful Rollins College campus. We hope to see you there! Understanding how the body and brain work in conjunction with one another has positive implications for learning and student achievement. Donna and I were pleased to have the opportunity to delve into this topic in an article that we contributed to the Phi Delta Kappan Common Core Writing project. In the article, entitled Smart moves: Powering up the brain with physical activity, we describe the body-brain system and its importance in student achievement, classroom behavior, and the development of cognitive skills. We also cite compelling research that shows the positive effect that physical activity has on cognitive performance of students from preschool through college. Read the article in its entirety here for specific strategy recommendations that teachers, administrators, and policy makers can use to incorporate physical activity into classroom learning, with the desired result of improving students’ performance as measured by the Common Core and other academic standards. We all like to be recognized for a job well done. However, research indicates that teachers and parents can increase youngsters’ motivation by focusing their praise on students’ efforts and improvements rather than on outcomes alone. If at first you don't succeed, try, try again. Sometimes, however, keeping students motivated to try in the aftermath of a failure can be very challenging for a teacher. Our approach to brain-based teaching and learning is based on the principle: Never question ability, always improve strategy. By teaching students that failure is a temporary setback that can be overcome by employing effective strategies for learning, we believe its possible for students to build a sense of mastery that drives optimism and self-esteem. Happy spring! In many parts of the US, this season of renewal may seem long overdue—all the more reason to celebrate its arrival with a metaphor about the seeds of potential that all students possess to learn, grow, and achieve their goals in school and in life. A favorite teaching and learning strategy among educators who participate in our brain-based teaching program is using metaphors to explain and explore new concepts. So let’s say that within each student, seeds of learning can take root, powered not by photosynthesis but by neuroplasticity, defined as changes in the structure and function of the brain as it processes new information. Cognitive psychologists and neuroscientists may use the term executive functions or skills to describe similar functions. For example, educators, psychologists and neuroscientists may all speak of the importance of capacities such as working memory, selective attention, and metacognition with regard to learning. All three groups of professionals are talking about skills that are linked to the brain's prefrontal region, as well as other areas of the brain depending upon the specific skill. Ongoing research continues to increase our understanding about related structures and functions. Some students arrive at school with most of their cognitive assets (or executive functions) in place. They have the capacity to benefit from standard teaching practice if they are motivated to do so. Other students do not arrive with all these assets in place. They may start school motivated, but they can quickly lose ground as their reading, writing, and computing skills fail to develop at the prescribed rate. One response is to require them to repeat the grade, which is both financially costly and largely ineffective, In our book, Thinking for Results: Strategies for Increasing Student Achievement by As Much as 30 Percent, we cite studies that show that students who are held back do not gain the skills they need to perform at grade level and that grade retention is highly correlated to dropping out of school. Get active, with 30 minutes of moderate physical activity, such as brisk walking, at least five times a week (60 minutes for children). 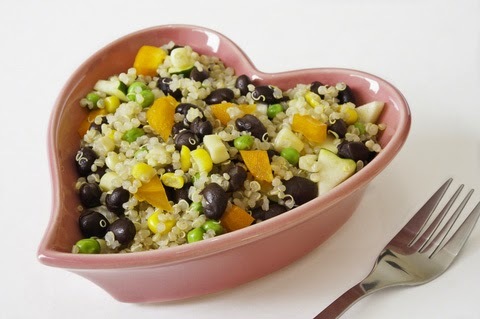 Control cholesterol through a healthy diet and regular exercise to maintain a healthy weight. Helping young children develop literacy is a key task for parents and early childhood educators alike. We have found that one of the most effective strategies is to surround young children with visualizations of letters and words, both at home and in the classroom. Magnetic letters, for instance, are a fun diversion for toddlers and preschoolers. If they are just learning to spell their names, they will love to pick out the letters and arrange them on a magnetic surface like a refrigerator or dry-erase board. This is just one aspect of a print-rich environment that early childhood educators and parents should be encouraging both in a classroom environment and at home. Classrooms are particularly great places to post the letters of the alphabet, both upper- and lowercase, with corresponding pictures. These connections can be reinforced with regular group recitations (“A” is for “Apple,” “B” is for “Banana,” “C” is “Cat,” etc.). When we speak to teachers, one of the things they consistently tell us is how much value they find in the BrainSMART: 60 Strategies for Increasing Student Learning text. Some of many strategies we teach in this text help teachers to teach students how to remember important information. For example, the brain is somewhat like a computer. It acts as if it has a save key and a delete key. It automatically deletes the meaningless information we receive on a daily basis. To promote learning and therefore initiate the "save key," we need to make the information we teach meaningful to young students. We experience the world through our senses—through sights, sounds, smells, tastes, and tactile impressions. The more fully we engage our senses, the more we experience and the more we learn. 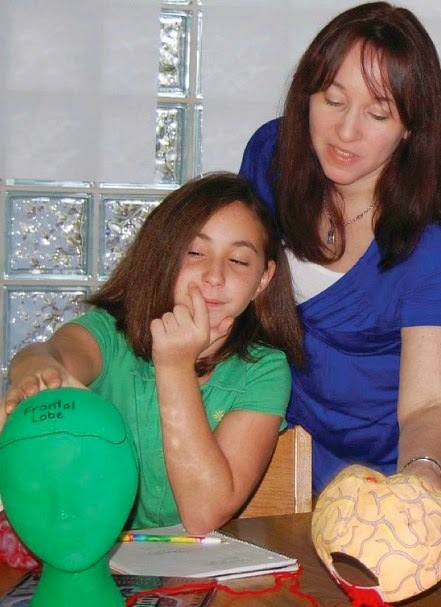 We recommend that teachers use multiple sensory learning activities whenever possible to help students better understand and integrate the use of cognitive assets in their studies and in their lives. Encourage students to create graphics to illustrate these cognitive assets by drawing the concepts on which they are based and creating posters. Our use of the brain car graphic, which underscores the importance of driving our own learning, is a popular example of how graphics can make a lesson memorable. 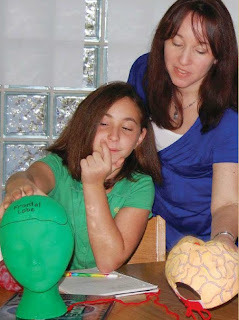 Similarly, using a model of a brain can help effectively teach the concept of metacognition. Happy New Year! With a new year may come a resolution to get into shape. Last week, we posted about the importance of eating well. In tandem with that comes the need for regular exercise. Exercise not only can lead to a healthier life but also can lead to a more academically accomplished life as well. In our book, Thinking for Results: Strategies for Increasing Student Achievement By As Much as 30 Percent, we cite research suggesting that movement is essential for the Body-Brain System to be in a peak state for thinking and learning. Even just standing and walking can increase the blood supply to the thinking areas of the brain significantly. Additionally, breakthroughs in cognitive neuroscience show that various movements require extremely high levels of cognitive function.